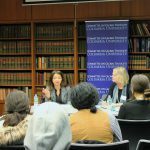 Activist and author Sayu Bhojwani visited Columbia and spoke about immigration in New York City and the work of New American Leaders. This was an intimate and meaningful conversation with students. 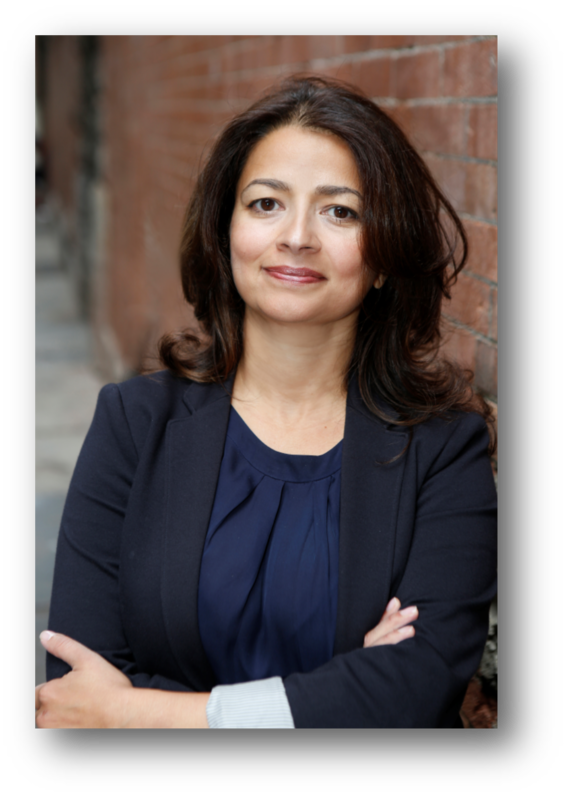 Sayu Bhojwani is the Founder and President of New American Leaders, which is based in New York City and works across the country to build the power and potential of first- and second-generation Americans. She served as New York City’s first Commissioner of Immigrant Affairs and is the founder of South Asian Youth Action, a community-based organization in Queens. 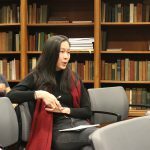 Sayu gave a TED talk on the importance of immigrants to American democracy, and her work to build a more inclusive democracy has been featured in The Wall Street Journal and in The New York Times. Her first book, People Like Us: The New Wave of Candidates Knocking at Democracy’s Door, was published by The New Press in 2018. Sayu earned a Ph.D. in Politics and Education from Columbia University, where her research focused on immigrant political participation. She is a Visiting Scholar at the Eagleton Institute of Politics at Rutgers University and a Woodrow Wilson Visiting Fellow. She serves on the c4 boards, AAPI Progressive Action and National Immigration Action Fund. An immigrant of Indian descent, she grew up in Belize and now lives in New York City with her husband and child. This event will take place in the International Affairs Building, Room 707 (sometimes referred to as the Lindsay Rogers Room). 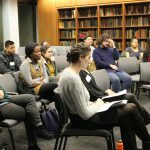 The Undergraduate Committee on Global Thought (UCGT) connects undergraduate students to the rich resources on global issues available at Columbia University. 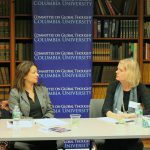 Students from Columbia College, the School of General Studies, the School of Engineering and Applied Science, and Barnard College join the interdisciplinary work of the CGT, becoming involved in events and initiatives of particular significance to the undergraduate community. Learn more about the UCGT.